I just wanted to say thank you to everyone who participated in last week's Challenge in honour of Artoo's 2nd birthday. If you haven't had a chance to see the slideshow, you can see it here. What a crazy week this has been. Working full time with kids is exhausting. LOL. I started back at work this week, part time, but i went every day this week to re-train and to re-familiarize myself with the agency. My co-workers are pretty great, though, and on my first day back they planned a little "Welcome Back" party, and we partook in some shenanigans - we went outside and threw waterballoons at a tree. My waterballoon would not break! i threw it three times, and all three times it bounced off the tree, then bounced on the sidewalk and rolled away. i guess i'm just not strong enough. Ha! Artoo did not like going to daycare the first two days, and he cried when B-rad left him. (Thankfully, B-rad took the boys the first couple days so i wouldn't have the added stress of hearing Artoo cry) but by the end of the week, he was fine and drop offs were much easier. He's doing really well at daycare all things considered. Which is a huge load off of my mind. I feel like i've hardly seen the boys this week though... i didn't even take any pictures of them!? We had a birthday party scheduled on Saturday for the little man, but no one could come because everyone was sick. So we're rescheduling for November. Also this week i took my beautiful 15 year old niece to the Justin Bieber concert. It was pretty fun! Except that i was exhausted. I was up at 5:30 to go to the gym, then went to work, then went straight from work to pick up my niece, then we had a quick bite, then went to the concert, then waited forever to get out of the parking lot, then i drove her home.... i think i got home around 12:30 or so. tired. This friday Artoo is having surgery - he's having his tonsils removed.... so it will be a long weekend at our house. Wish us luck. Weekly Challenge #92: String Theory v.XIV "Stripes 2.0"
The last time we did this challenge was back in May, 2011. 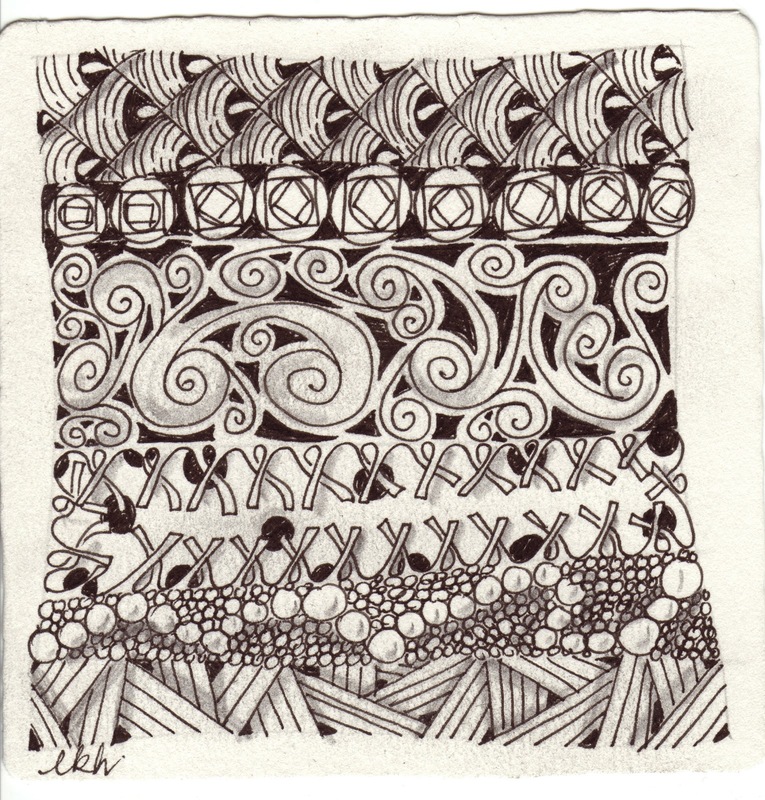 So the challenge is to create a tile or Zentangle inspired art using Stripes as your string. For me, as an added challenge, i tried to stay away from obvious tangles that go in straight lines. Nice challenge. 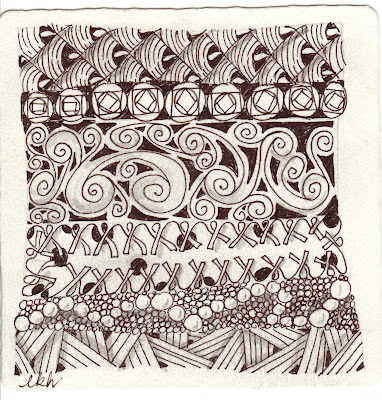 This first try was a quickie and I found that the small zentangle format cramped my style. Below it is a bigger sampler I did earlier, which is much better.I'm going to try again on black! Great challenge...and right up my alley...LOVE neat and orderly! Fun challenge, thanks! It's always interesting to see how each person interprets the challenge. I find it even more interesting to see how I respond each time. I surprise myself in how I approach different challenges. That's why I love having someone else give me the opportunity to try something else. I hope Artoo's surgery goes well. 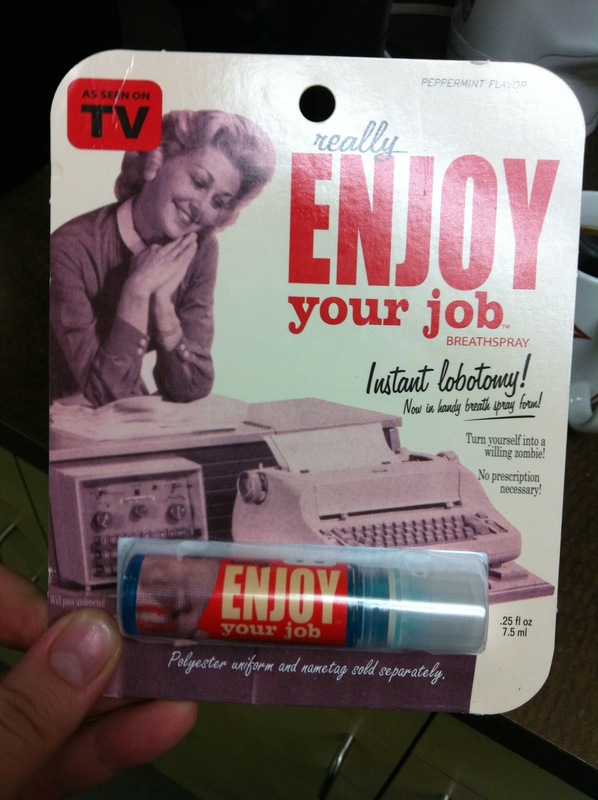 Maybe that will help with some of the illnesses down the line. My mom always says that I had non-stop infections as a child until I had my tonsils out. Wow, end of Monday and I have my tile posted already - amazing really! And so many others have too. Laura I just wanted to point out, though I don't know that it really matters, but you have a small typo in your post - Weekly Challenge #91: String Theory v.XIV "Stripes 2.0" - should be #92. I only noticed because I usually copy and paste the name of the challenge. No worries, with all you have on your hands I'm impressed you get this posted on Monday almost every week. Awesome job, I love the challenges. i will fix it up. Interesting Challenge. Why is it the ones that seem the simplest can at times present the most unique challenges. My entry was drawn awhile back, but I thought it fit the challenge! Both you and your niece have awesomely fashionable glasses. Many well wishes of a speedy recovery for Artoo as he gets his tonsils out. I'm hoping stripes on face makes this a candidate for this challenge. this is the first time I've linked my tile to your site. Hope it worked! I love your challenges. Thanks so much for doing it!! I'm late but I made it before my power goes. Hope your second week of work goes well!